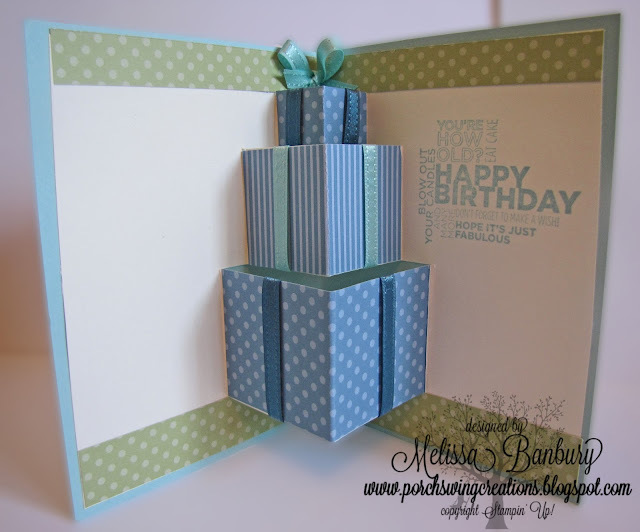 Porch Swing Creations: Exploding Presents and Exciting Announcements! Some very exciting news was released this morning from Stampin' Up! In 2010, after a huge color renovation, it was decided that every three to five years they like to do a little "Color Refresh" with the core colors in all four color groups - Brights, Subtles, Regals, and Neutrals. 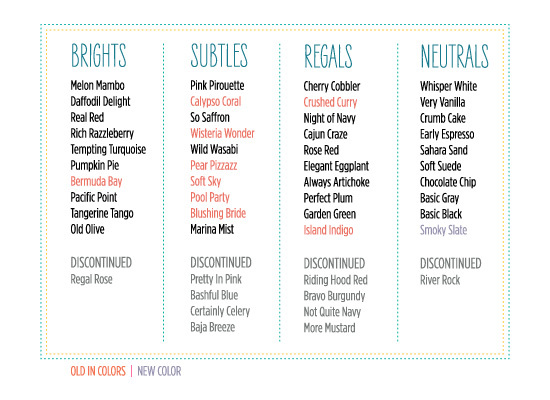 Here's the new core color list along with 10 discontinuing colors, plus one BRAND NEW COLOR ADDED! I must admit the Subtle discontinued list made me a little sad at first glance - all four colors are ones I rely on more often than I'd like to admit, but I'm so very happy to see Pool Party and Blushing Bride on the new core list in their place! An important note: all paper, ink, ribbon, and accessories will only be available from today until supplies sell out. To help make sure you get stocked up on your favorites before they're gone Stampin' Up! is offering FREE SHIPPING for THREE days only - April 6-8 and best of all there's no minimums! Visit my online store today to stock up! And remember, a $50 purchase means a new catalog mailed directly to you after May 1st! Well, I'm off to get a little more Spring Cleaning done and use up some of the paper soon retiring LOL.